The first Paris Vape Summit will be held on May 9, 2016, at the National Centre for Art and Crafts (CNAM). Organized by the French tobacco specialist Jacques Le Houezec, it will bring together scientists, physicians, lawyers, journalists and associations to inform and find a way to emphasize the electronic cigarette as an alternative to tobacco among smokers, and minimize the potential negative effects. The French scientist, Jacques Le Houezec, tobacco specialist, announced a Vape Summit on May 9, 2016, in Paris at the National Centre for Art and Crafts (CNAM). In the spirit of the Ecig London Summit, this conference should bring together scientists, politicians and associations concerned with the subject. Bringing to the table all the stakeholders to discuss vape issues, this is the project that Jacques Le Houezec will bring to life on May 9, eleven days before the application of TPD, with the help of Dr Didier Jayle and Pr Bertrand Dautzenberg. The anti-tobacco associations, anti-vape, pro-vape, scientists, politicians, health professionals and users will discuss and argue their views in lively debates. 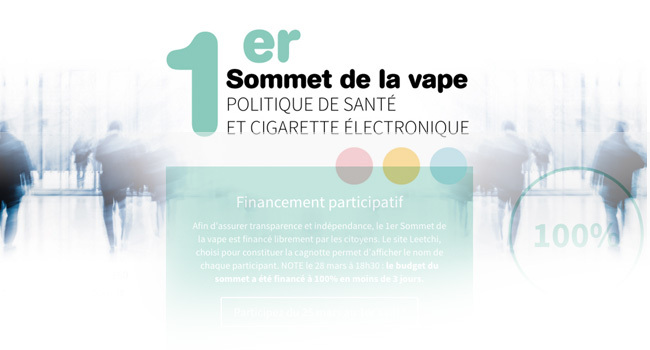 To preserve the independence and credibility of this initiative, Jacques Le Houezec initially refused the financial participation of the electronic cigarette industry in organizing this event and chose the crowdfunding option, in line of the prize pool organized by Sebastien Beziau for publishing the book “1,000 messages to the vape“. This funding by vapers, he says, will also be symbolic. Less than 3 days were necessary to fund the Summit. This crowdfunding, launched before the Easter weekend has been a success. A success that has not surprised the organizer. “It was very fast, despite the three-day weekend. But this is only a half-surprise, I felt there was a big expectation from the community” said tobacco specialist. The event follows the path of the first Vape Meeting, which took place at the Maison de la Chimie last October, organized by the Fivape and the Aiduce. We can also mention the European Day of the electronic cigarette held on November 6, 2015 in Toulouse by the Aiduce, the Fivape and Tobacco and Tabac et Libertés. Its ambition? To become the French equivalent of the Ecig Summit, the summit of the English vape which took place in November 2013. This meeting helped revolutionizing the approach to personal vaporizer, considering it as a true ally for risk reduction for diseases related to smoking. 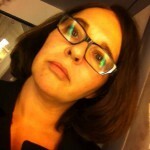 And, why not, to impact the implementation of the European TDP in France on 20 May?